The honorary rank of 'General of Indian Army' is being conferred on the Nepal Army Chief following an age-old tradition which is existed between the armies of both countries. The Nepal Army Chief begins his four-day India visit on Saturday during which he will hold wide-ranging talks with top brass of the Indian Army. 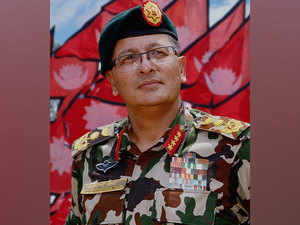 NEW DELHI: Nepal Army Chief General Purna Chandra Thapa will be conferred with the honorary rank of 'General of Indian Army' by President Ram Nath Kovind on Saturday. The Nepal Army Chief begins his four-day India visit on Saturday during which he will hold wide-ranging talks with top brass of the Indian Army with an aim to further expand bilateral military cooperation. The honorary rank of 'General of Indian Army' is being conferred on the Nepal Army Chief following an age-old tradition which is existed between the armies of both countries, defence ministry officials said. Indian Army Chief Gen. Bipin Rawat was conferred with the title of honourary general of the Nepal Army by Nepalese President Bidya Devi Bhandari during his visit to the country in 2017. Commander-in-Chief Gen Kodandera Madappa Cariappa was the first Indian Army chief to be decorated with the title in 1950. 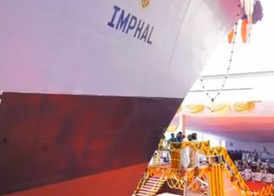 On Gen. Thapa's visit, the Indian Army said, "The visit symbolises the deep-rooted military to military ties and shall be a platform to further strengthen the defence cooperation between the two armies." General Thapa will also be visiting Indian Army formations formations based at Jaipur and Lucknow.